Join Us For a FREE 10-Week Training Course On the SquareHook Tool! Are you currently building websites using some other web builder? Are you a college student wanting to earn some side money/experience while going to school? Or are you simply interested in learning how to build websites? SquareHook is looking for people just like you. Â We want teach you how to become experts with our SquareHook website building tool and then we want you to go out and make money using it. Take part in our FREE 10-Week SquareHook Training Course and we’ll give you Adobe Suite for FREE!Â The class starts in January. Quite some time ago, we threw together a VERY basic website per a customerâ€™s request. 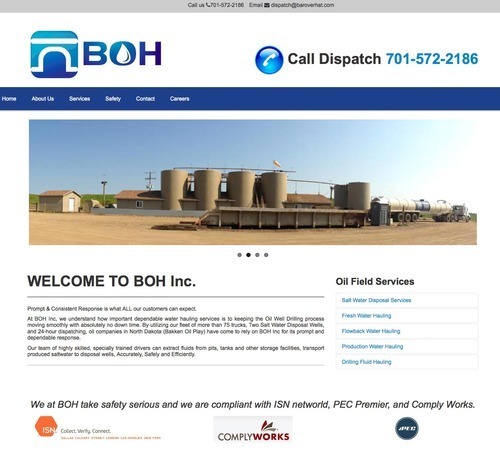 BOH wanted to get out of their existing website commitment, so they said to use the same images they had on their old website and just get it live asap, and then they will upgrade it in a couple months. So we did it! Here is initial basic site conversion: Once we got the basic site up and running, they came to our design team, explaining that they wanted their site to have a wow factor!Â So our creative director put together a fantastic mockup, and even flew out to South Dakota to get some awesome on-the-job imagery. We're Thankful for eCommerce! Help Support Small Businesses This Shopping Season! We’re proud of our eCommerce, and the clients who use it!Â On Saturday, November 29th, shop small businesses, to keep local businesses going! We pride ourselves on our amazing eCommerce feature on the SquareHook tool. It allows people to sell their products and services easily. Â Buyers can even purchase and checkout directly on their smartphone! With the biggest shopping time upon us, be sure to patron your neighboring businesses to keep them going. Our Templates are PERFECT For Musicians. 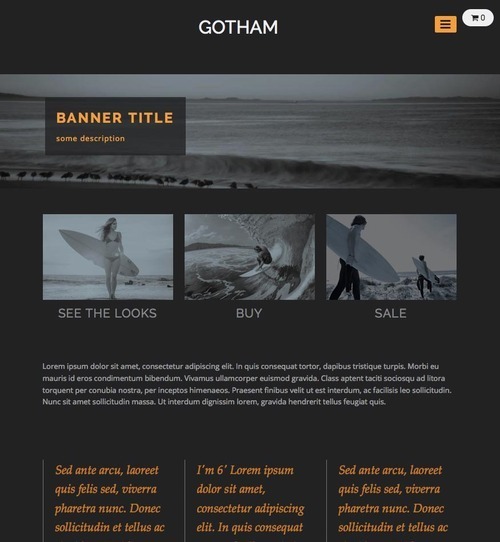 One of our latest themes, GOTHAM is a huge hit amongst our clients and SH website builders. 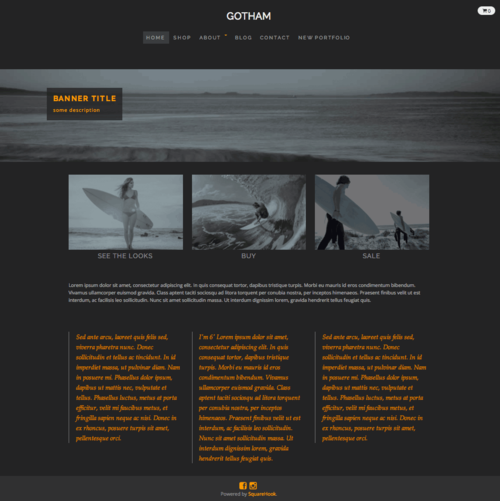 One of our clients, Missy from Mister Duo built their site out some time ago, but when the Gotham theme became available, they were all over it! Their site had standard pages, like most any other website, an About Us page, Services page, and Contact page. Â But there were a couple pages that added greatly to their site, that aren’t standard on all websites. What's Sweeter Than Hand Dipped Chocolate? Our Latest Website! We are just salivating at the mouth over one of our latest websites. 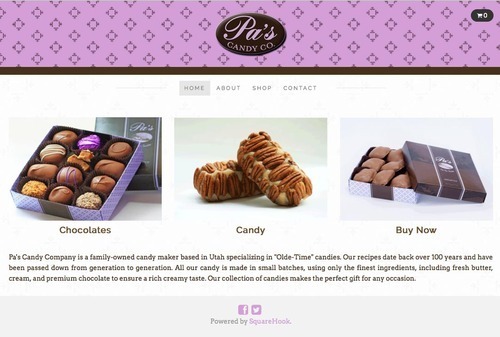 Pa’s Candy Co. sells deliciously tasty sweets. 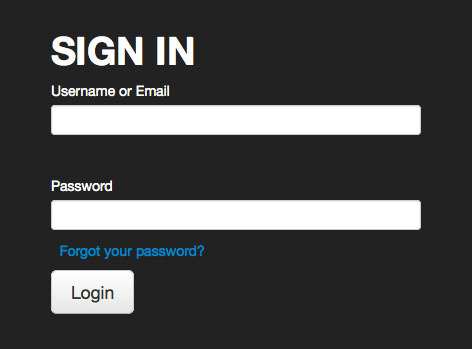 Students Can and SHOULD Build Their ePortfolios With SquareHook! We know a lot of colleges and universities are now requiring ePortfolios for their students. Â Why?Â Because they are hoping that student portfolios becomes more than a collection of resources, assignments, or demonstrations. Â Schools are hoping that it can become a great source for students to share work and ideas, receive feedback, and in a way be a source for career preparation and a way to document successes and credentials. Our tool works on a system of Squares. 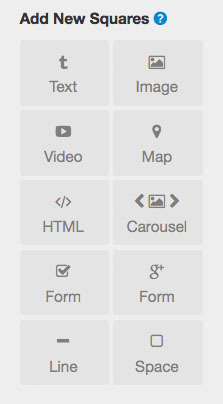 Â Squares include text, images, videos, maps, forms, and MORE! In our previous post about dragging and dropping, we wrote about how easy it was to drag squares around and set up your pages. But you may not know what kinds of squares to add, and how. Our eCommerce functionality is just awesome!Â We are super fans of how easy it is to set up your store and build out your site. 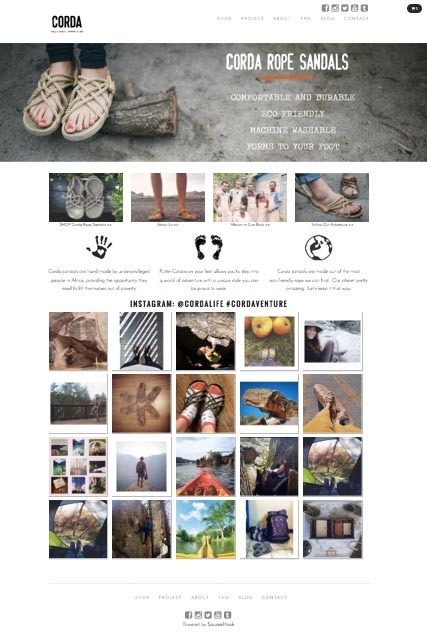 Â One of our latest clients-Corda Rope Sandals was looking to switch over from their Shopify store. 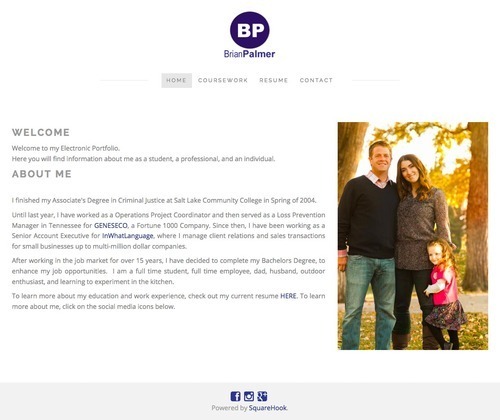 Â With the booming success of Hoodie Love’s simple/gorgeous/clean theme, we took inspiration to help owner Dustin build out his website. ® 2015 Leuly, LLC All rights reserved. Powered by SquareHook.